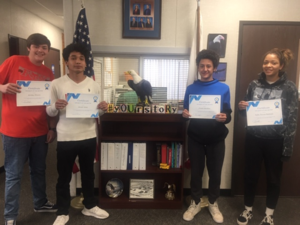 Congratulations to the following students for their outstanding behavior & continue to be on Level 1: Jeremy Stivers, Jacob Veloz, Frank Sheldon & Sofia Torres-Robledo. Congratulation and keep up the great work!! !